Our mission is to deliver concierge primary care that is relentlessly centered on the needs and capabilities of each individual patient. We are focused on relationships, care quality, accessibility, simplicity, and efficiency. About the Founder - William Harper M.D. Will has twenty years of experience as an internal medicine physician in Chicago. Named to Top Doctor lists in the region, he is focused on delivering high quality internal medicine in a way that patients feel valued and truly cared for. Will was also the lead internal medicine physician for the Chicago Blackhawks from 2005-2015, doing his part to help the team win three Stanley Cup Championships. He earned three championship rings, one for each of his children! He also co-founded and ran a successful wellness coaching business before it was sold, and was the medical director of the executive physical practice at the University of Chicago Medicine for more than fifteen years. Will's mission in medicine has led him to where he is now: building a clinical practice that best meets the needs of patients, care providers and the team that supports them. Want to learn more about Will and Harper Health? Reach out. We're here. An internist with twenty years of experience, Will is the founding physician and CEO of Harper Health. He earned his undergraduate and medical degrees with honors from Georgetown and Northwestern Universities respectively. His internal medicine training was at the University of Chicago Medicine. Meg believes that being a great physician is more than just knowing the latest, most effective medical treatments. Equally as important is having true concern and respect for each patient as an individual and an ability to communicate with them in a compassionate manner. Her mission has always been to provide a personalized, proactive approach to each patient with an emphasis on prevention. This dream is now a reality at Harper Health, where she applies both the art and the science of being a physician. After completing her undergraduate work at Cornell University in Ithaca, New York, Meg spent the next several years in Boston. She was at the Harvard Institute of Human Genetics researching potential gene therapies for cancer, and then at Tufts University School of Medicine where she earned her medical degree with honors. She returned to her Midwestern roots and completed her internal medicine residency at Northwestern Memorial Hospital in Chicago. 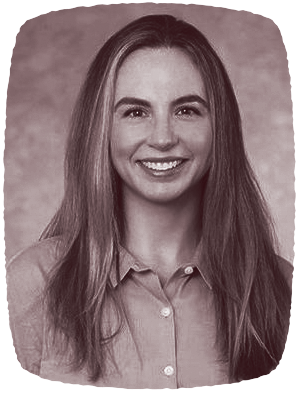 Meg is a faculty member at Northwestern’s Feinberg School of Medicine and is on staff at Northwestern Memorial and Hinsdale Hospitals. She is the lead internist at Harper Health Hinsdale. Priscilla is the practice manager for Harper Health. On the clinical side she helps facilitate patient appointments, schedules tests and procedures, and answers questions from patients and potential members. She is also the administrative hub for the practice, making sure we keep the lights on and have all of the resources necessary to take care of patients. Before joining Harper Health, Priscilla earned an undergraduate degree in management from DeVry University and gained a wealth of experience in practice management at a Streeterville obstetrics and gynecology practice and, most recently, at a suburban neurology group. She believes all patients deserve exceptional care, and is delighted to be a part of that mission here at Harper Health.